Lab Burger Update: How Close are we to Scalable, Synthetic, Clean Meat? The Good Food Institute and other clean meat companies are trying to change the perception of lab-grown meats. There is still much work to be done. In a world increasingly exposed to environmental threats and challenges, in-vitro meat seems to be a potential alternative to animal farming. Here’s an update on the matter. A gastro-technological revolution is looming, with several startups rushing into a race to make the best-tasting synthetic, slaughter-free and affordable meat. Perhaps at some point in the (near)future, there won’t be any choice but to grow meat in labs or go vegan, like the surviving humans in Netflix’s Travelers. This SF scenario is not that far-fetched, as the sixth mass extinction is already underway. Where are all of the Vegetarians now? According to Wikipedia, India has the most vegetarian population on Earth, as 29-40% of its citizens (~360 million people) do not eat meat. This is most likely because of the Hindu religious tradition, which sees cows as sacred. USA: 3.3% or 8 million vegetarians. France: 1.5% or 2 million vegetarians. Australia: 11.2% or 2 million vegetarians. Brazil: 7.6% or 15 million vegetarians. Spain: .5%-4% or 1.78 million vegetarians. If plant-based synthetic meats were to become scaleable and readily available worldwide, would these vegetarians and vegans be willing to eat it? Would meat-eaters that chose to consume lab-grown meat exclusively be considered vegetarians? While Mark Post was behind the media buzz with his “Laburger,” the first lab-grown meat was the creation of two award-winning biological artists, Oron Catts and Ionat Zurr from the University of Western Australia. Catts and Zurr, following a prototype produced in 2000 that wasn’t tested, grew a semi-living steak from frog skeletal muscle that was served up at the exhibition L’Art Biotech in France. Many companies using different methods have followed since then. These methods respond to issues associated with the environmental impact of the meat industry, animal welfare, and public health risks. Quality (of taste, texture, and appearance) of lab-grown meat leaves something to be desired. Quantity-wise, these processes can’t mass-produce meat unless large labs are built. Cells used to culture meat are collected from living animals, and thus animals are still needed in some capacity. Lastly, synthetic meat production still relies on the use of antibiotics. While they have not yet marketed any product, some companies are laying the groundwork to secure a share of a possible market for clean meat, presented as a panacea to several problems. Known for its support and lobbying on behalf of clean meat companies, the DC-based Good Food Institute saw its staff grow from two to 15 people with another 17 more positions to fill, among which a positions for a director of international engagement who will oversee the relationships with governments, investors, and activists to develop clean meat industry as a whole. GFI is working to expand its activities beyond the United States to create a market for clean meat (plant-based and cell-cultured) and turn meat from a luxury to a mass product. As it is, the firm is already present in Brazil and China. In Brazil, JBS’s loss is GFI’s gain! Brazilian JBS SA, the world’s largest meat packer, is facing a tainted meat and corruption scandal, and the whole meat industry in the country is passing through a dire period. As a result, GFI hired former Whirlpool executive Gustavo Guadagnini as the managing director of its Brazil branch to work towards getting more plant-based alternatives onto the Brazilian market. In China, GFI is servicing both the government and private Chinese companies to give clean meat a push onto the ever-expanding marketplace. This is a well-timed move, as the Chinese government called upon its citizens to cut back on meat. 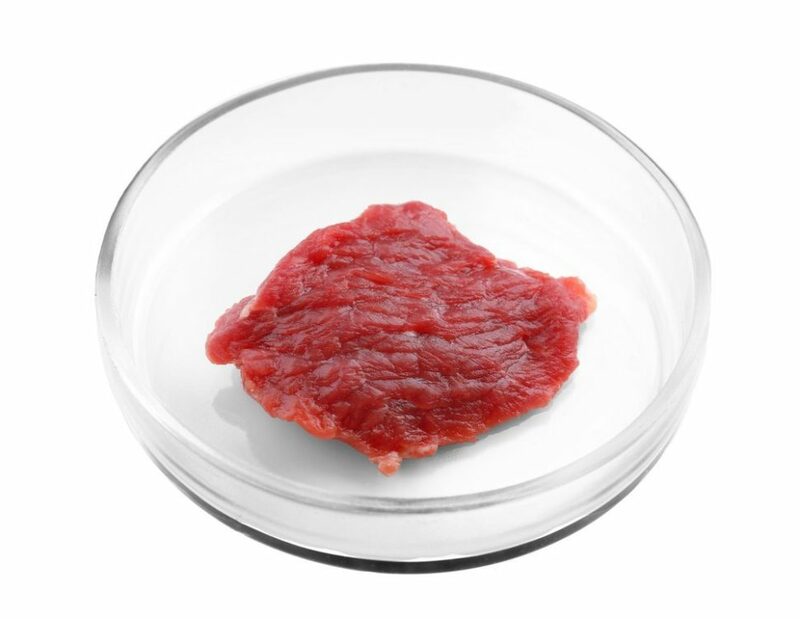 Meat Grown in a Petri Dish as a Staple Food? But, just how willing is the public to consume in-vitro grown meats (IVM)? A new study investigated public attitudes towards this question; Matti Wilks and Clive Phillips, respectively a psychologist and a veterinarian, surveyed 673 Americans about their views on IVM. Their findings, published last February in PLOS One, seem paradoxical as those who already eat less meat are less willing to include in-vitro products into their regular diet, although they are more positive regarding ethical issues. Between the 31% definitely “no” and the 8.5% definitely “yes”, most respondents would try IVM if it resembled farm meat (taste and look). A minor proportion (0.1%) even said they are willing to try dog or cat IVM, against 3.1% who have already tested dog/cat farmed meat. The majority of those tested are not ready to spend more on these products. While about a quarter of people expressed ethical concerns about this meat, deeming it unnatural (especially those with higher incomes), other groups indicated a more open attitude. For example, men, liberals, and city residents are more curious than women, conservatives, and rural residents. As for vegetarians and vegans who are unwilling to eat IVM, more interest is placed in its ethical and environmental advantages. If the results of this study are any indication, they show that IVM consumption could entice the public, but it wouldn’t replace farmed meat right away, or altogether. ”While about a quarter of people expressed ethical concerns about this meat, deeming it unnatural” even when most of those people surely don’t stop to consider vaccines and medicaments as unnatural products deserving of ethical concerns.